On Tuesday, tourism officials in Paris revealed that despite a year marred by terrorist attacks, labor protests, strikes and floods, the travel industry showed improvement in the latter stages of 2016. 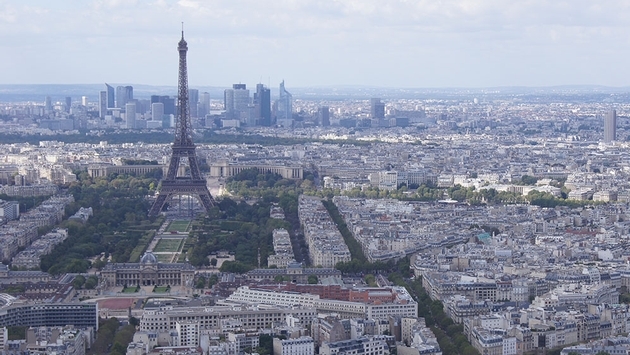 According to The Associated Press, the Paris regional tourism committee released the numbers for last year, which indicated the biggest decrease came in demand for Paris hotels from Chinese, Japanese, Russian and Italian tourists. Three of the area’s biggest attractions—the Louvre Museum, Musee d'Orsay and Disneyland Paris—reported a drop between nine and 13 percent in 2016. Overall, the regional committee announced tourism-related revenue in the region fell by about six percent, a total of more than one billion Euros. Many of the trepidations about visiting Paris were associated with a massive series of terrorist attacks in November 2015, which targeted cafes, a rock concert and the national stadium and cost the lives of 130 victims, including several foreign nationals. While protests, strikes and floods over the last year have also added to the concern from tourists, the Paris regional tourism committee reported that hotel reservations began rising again by the end of 2016. In November, a report indicated that tourism in Paris fell eight percent in terms of foreign arrivals, including almost 40 percent less Japanese, 23 percent less Chinese and 10 percent less German tourists.